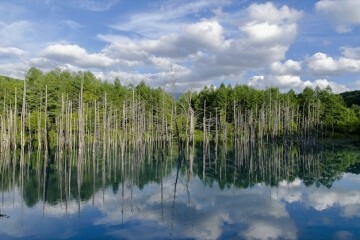 Hachimanzaka is one of the most famous even among the slopes of Hakodate. 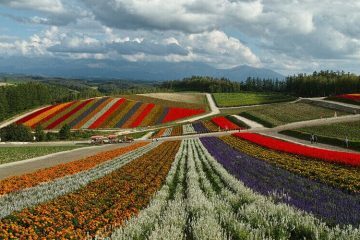 As it affords a whole view of Hakodate Port from the top of the slope, it is known as an excellent photo-shooting spot. 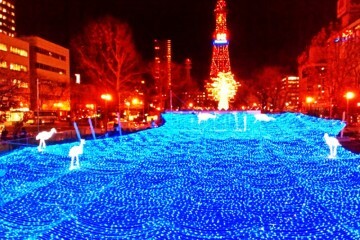 Directly ahead from the slope is the Ferry Memorial Ship Mashu-Maru, and at night there is also illumination. And in the winter, roadside trees are adorned with lights, making it a spot where illumination can be enjoyed. 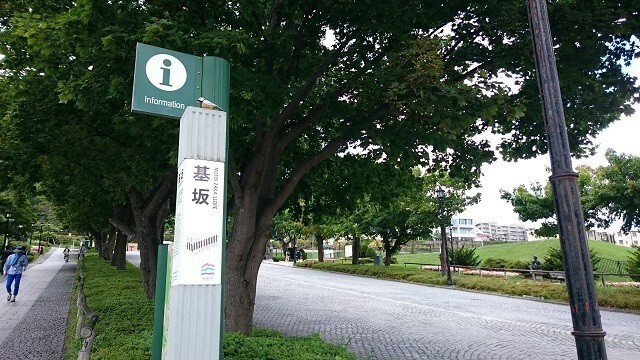 The origin of Hachimanzaka’s name came from the fact that there was the Hakodate Hachiman shrine on this slope before. During the Great Fire of the Meiji period the shrine burned down, and though it was moved to Yachigashiracho, the name remained. 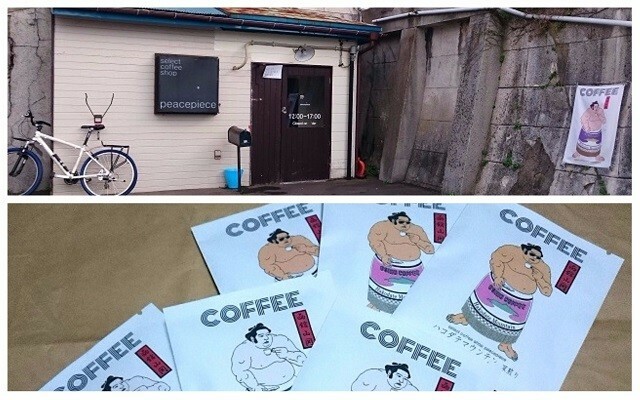 The cafe of recommendation located in Hachimanzaka would be select coffee shop peacepiece. As evidenced by the name, this is a shop whose self-roasted coffee has an established opinion. Though the interior of the shop is not really large, its relaxed atmosphere ensures that you can rest your tired feet slowly. Inside the shop there are many of cups and saucers lined up, and should you so wish it they will fill your coffee in a cup of your choosing. You can not only drink coffee here, but you can also buy takeouts, so please do purchase souvenirs and travel memorabilia! 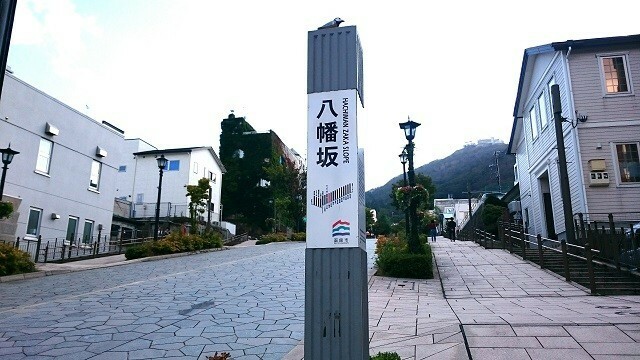 This slope’s name apparently came when it was designated as the “kilometre zero” because it had a “Riteigenpyou” placed on it, a sort of zero mile marker used to calculate distance during the Meiji period. Halfway down the Mitoi-zaka there is a former British consulate famous as a tourist spot. Though it has passed through a restoration in 1992 and a renewal at 2009, its basic physical structure is the one from 1913 when it was built. Not only are there furniture from the time of its construction, there is also a museum that exhibits the spot where Commodore Perry visited when the town opened port. 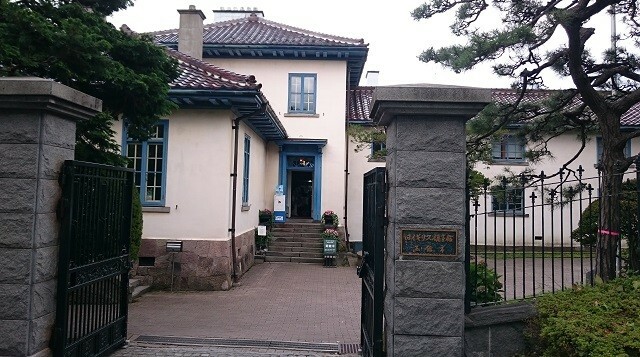 If you are looking to rest your tired feet from touring through the Old Public Hall and the Consulate’s interior museum, then the Tea Room Victorian Rose located at the 1st floor is highly recommended. 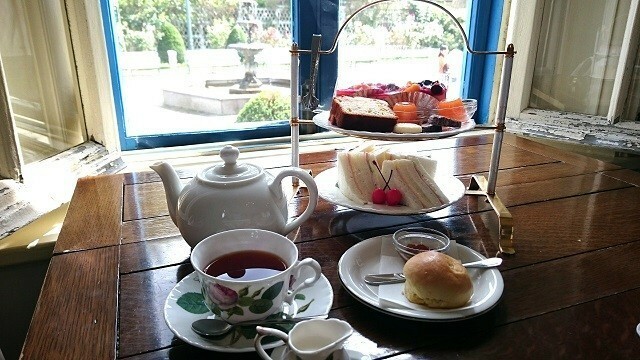 This is reputed to be a place where you can enjoy the taste of a legitimate afternoon tea while being surrounded by antiques such as large mantle pieces and tapestries. There is also a shop by the tea room that sells British merchandise, so it might be fun to stop by. 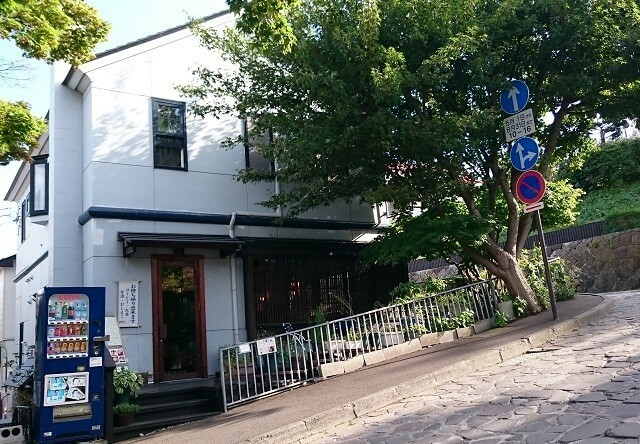 Though the slopes we have introduced up until now were quite wide even among the slopes of Motomachi, the Daisan-zaka slope that we are about to introduce next has a snug and cost atmosphere. 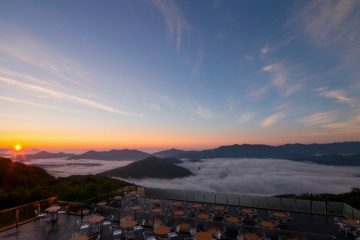 Though there are those in Motomachi’s slopes that have been made to be wide in order not to be easily burned down thanks to numerous experiences with great fires, narrow slopes like Daisan-zaka boast elegance left-over from ancient times. 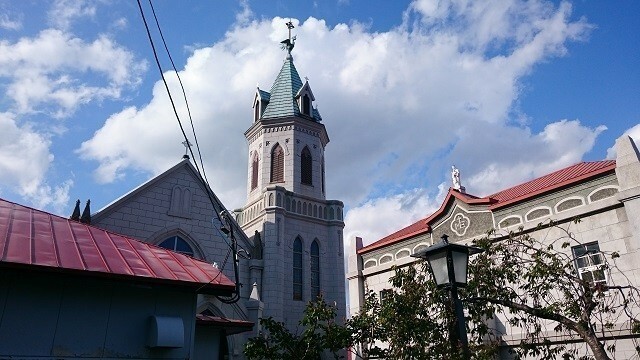 In this slope there is a Catholic church that is counted among the “Motomachi Church Assembly”. With its high-rising minarets and buildings established in the Gothic architecture style, as well as a statue of Mary filled with mercy, this establishment really lets you feel the atmosphere of a church from overseas. The origin of the Daisan-zaka’s name apparently comes from the fact that there was an inn at the base of the slope. 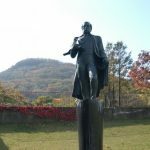 And for a time it was also known as “Kinoshita>s slope”, because a person named Kinoshita once lived on top of the slope. Angled across from the Catholic Church is the Motomachi-saryo. 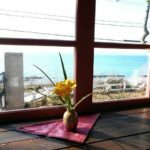 At first glance it is a cafe with a modern feel, but it is actually a residence that still retains the blend of Japanese and Western style that had been in Hakodate way back when. There are terrace seats outside, perfect for Summer. The interior is one that uses a lot of wood in its design, and you will be able to enjoy coffee and sweets in a calm and relaxed atmosphere. The view of the Daisan-zaka as seen from latticed windows is like a painting. 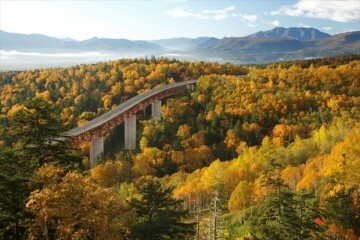 You will be able to enjoy the slope and the surrounding vista without any worry from others. The coffee and sweets distributed by the owner, who themselves are great lovers of coffee, are highly reputed to be delicious. 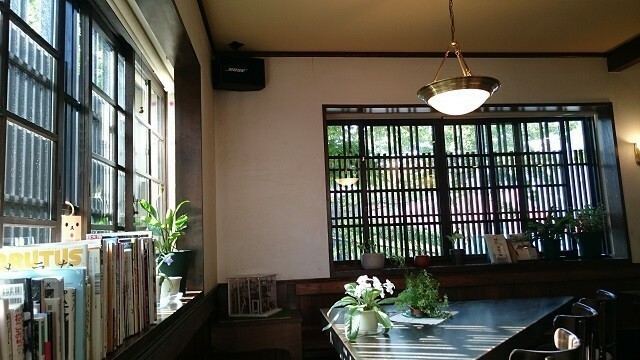 Though it is a cafe, it is also a shop where you can enjoy the taste of nostalgic sweets! Though there are many items on the drinks and snacks menu, the top recommendation would have to be the “Nodate Coffee”. 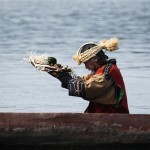 Its thin espresso is whisked to foaming by a tea whisk, making it mild and smooth. It mixes well with a seasonal Namagashi (Japanese snacks)! We have now introduced the tourist trap-heavy slopes of Motomachi. 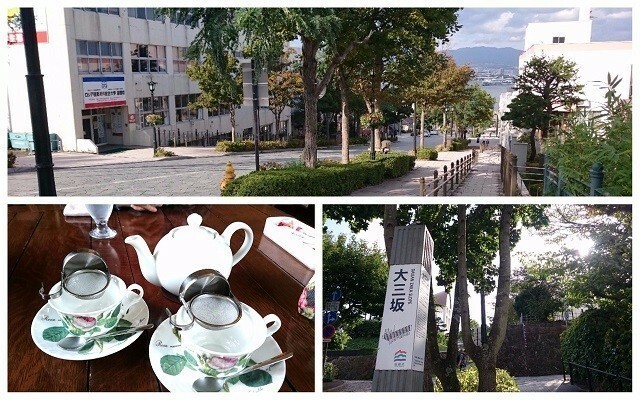 Though the up-and-downs of Motomachi’s slopes might be something distressing for the people living in Hakodate, there are also things that justifies the fatigue, such as the dramatic town-strolls and the delicious time spent in cafes. Please enjoy! Feast on Hokkaido Crab! 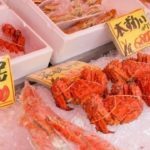 Types of crab and how to eat them.